What’s More Important to Your Entry Level Job Search: Passion or Personality? When it comes to your entry level job search, what is more important, one that fits your passion or one that fits your personality? The following post makes the case for why personality is more important. If you want to be an internship finder as a high school student, but are too young to get an opportunity, the following post offers advice on preparing for one in the future. 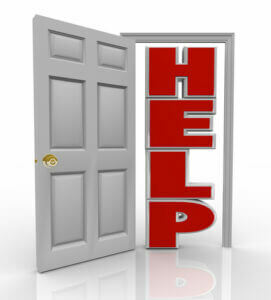 Open door to the word Help in red letters. Photo courtesy of Shutterstock. Maybe you’ve walked by it, used it once or twice or don’t even know it exists. Whatever the case may be, your college’s career center can be an excellent resource for you to figure out a major, find a job or internship, or simply learn how to craft a resume or cover letter. Even if you’re attending an online college, your school may offer career services as well.